This route is a sure bet: beautiful landscapes, history and geology. Its 14 kilometers can be traveled in around 3 and a half hour. Besides the beauty of the natural environment, there are fountains along the way, castles, towers and hermitages to end with the beautiful Pico de la Cruz Del Sierro, of 736 meters high. This route of Chera runs largely through the PR-CV 102, passing through the Buseo reservoir, now converted into a beautiful mountain lake. From there, we flank the reservoir and continue along the PR-CV 359 path to the village of El Reatillo, and then follow the route until you reach Cuevas de la Garita. You can also climb up to the Castle, located above the caves. The legend of the Cross of the Three Kingdoms (in Spanish Cruz de los Tres Reinos) : is the point of union between Valencia, Castilla and Aragon, located at about 1,560 meters above sea level. It is said that you can sit a man in the Kingdom of Valencia so putting your right foot in Aragon, and in Castilla the left. Nowadays it is a crop field but, without a doubt, it is a wasteland with more than one history to tell. The “Valley of Miracles” (in Spanish Valle de los Milagros) is a vast landscape rich in flora and with a special charm located in Alzira. Full of medicinal plants, formerly this place was used to manufacture natural medicines. 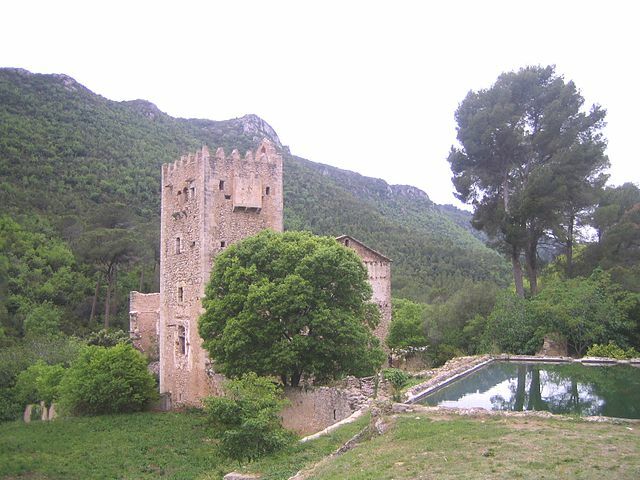 It also highlights the old monastery of La Murta, opened in 1401. The path is a route of approximately 9 kilometers with an average travel duration of 4 hours. Due to its low difficulty, this route is great to enjoy with family. The route the Jucár goes through the Valle de los Cofrades until reaching the Caños del Júcar. It is 11 kilometers long and takes just over 4 hours to be travelled. But the most interesting is without doubt the canyon itself, about 200 meters fall on the river Júcar. If you are not afraid of heights, the route of the hanging bridges or “la ruta de los puentes colgantes en Chulilla” will enchant you : the first of the bridges over the Turia Canyon in the municipality of Chulilla has a height above the river of approximately 15 meters, and a length of approximately 21 meters. The other is less tall and longer. The canyon has a total of 4 kilometers. It is likely that this is one of the most beautiful places in the Valencian Community, starting at the dam of the Loriguilla reservoir, where you can come across fascinating landscapes such as the “Charco Azul” and its natural backwaters. 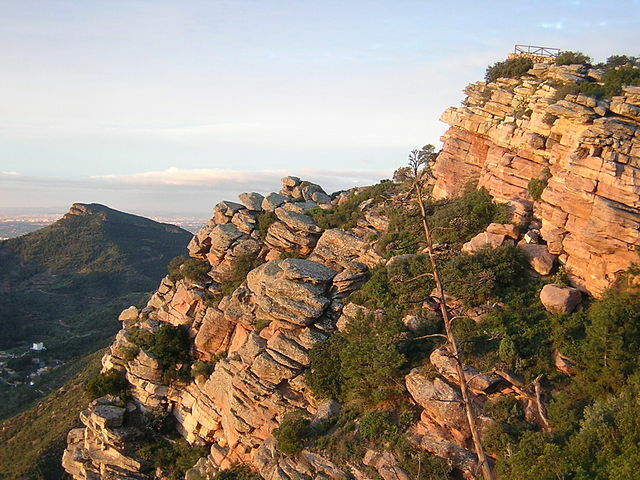 You can also enjoy places like “La Peña La Judía”, “El Remanso Las Mulas”, and “Las Canales”, in the vicinity of a place known as “Tras Castillo”, in addition to Monte de La Muela. This circular route has about 16 kilometers and it can be traveled in just over a 5 hours walk. The main attraction on this trail is historical and geological, that transports you to the Natural Park of La Solana and the Barranco de Lucía where you can visit, following the PR-CV 105, the Cueva Sabuquera, the Wild Raft and an endless number of archeological sites. This trail was used by the snowdrifts that traded the snow in past centuries. This 17-kilometers route of Tóveda takes us up to 1090 meters high in 4 hours walk. It is of medium difficulty, and it is very cool, ideal for summer. 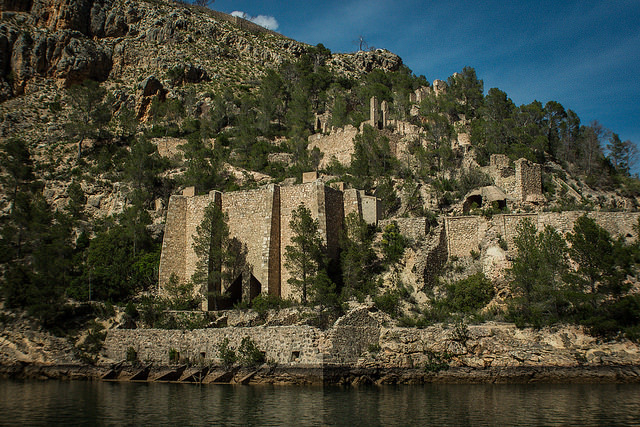 It highlights the crystal clear and cold waters, and the architecture of towns such as Ademuz or Vallanca, and the Tío Manzano spring as final goal. The Aqueduct Peña Cortada route has a total length of about 8 kilometers, in a round trip and is used to be travelled in about 3 hours. However, it is of low difficulty so it is recommended for the whole family. The trail crosses different caves and tunnels dug into the rock. It also has cabins for rest and offers viewpoints such as Torre Castro. To finish the route you will reach Peña Cortada, a Roman aqueduct of about 50 meters, 25 meters high and 2 meters wide. Crossing the aqueduct is not suitable for cardiac, but offers a landscape simply magnificent. This route allows you to get to know the Sierra Calderona perfectly, in just over 4 hours and 15 kilometers of a circular route. 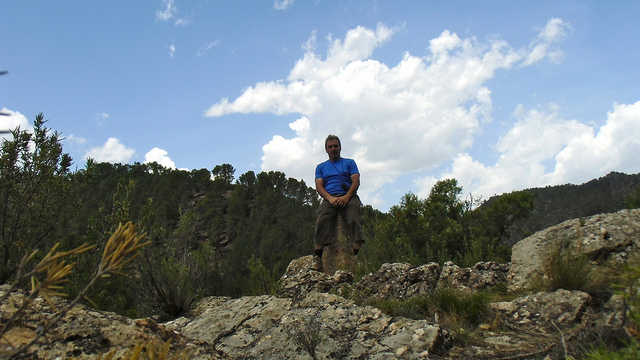 In this trail we can highlight the thick pine forests and the rodeno walls that the great Garbí and the Pic de l’Àguila give us. But there is much more to see, for its scenic value, such as the ravine of Segart, the Palancia Valley or the municipalities of Albalat and Estivella. Surely, you’ve already taken the idea of ​​the paradise that Valencia is for a hiker, but there are many more routes to discover in this community. 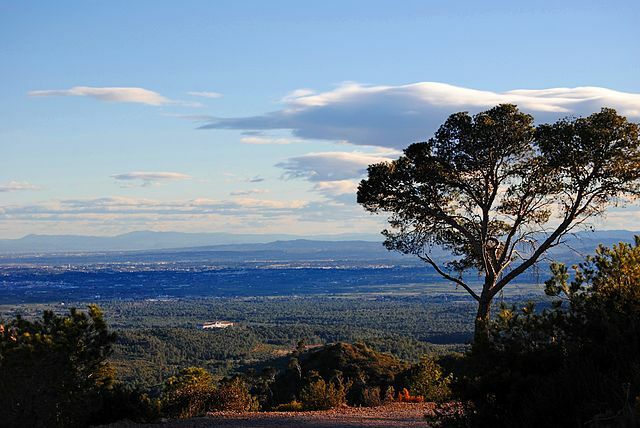 To mention just a few, we have the Strait of Sabinar in Ayora, Vistabella del Maestrat and the great Penyagolosa, the route of the Gola de Lucino and the Cueva de la Araña, the cave of the Venerable Ines, Carrascal de la Font Roja, Sierra de Mariola , Sierra Calderona, Mirador del Garbí or Puig Campana and Ponoig. The maps of all these routes can be at reach, if you download the Walkaholic mobile application. Do you have a preferred route that is not on this list? Leave us a comment so that other hikers can benefit from your knowledge. Who knows? Maybe one of these days we’ll see each other on the road.